What are all the Different Types of Arthritis?? Arthritis is basically a complex of a wide family of musculoskeletal disorders of more than 100 different conditions that can affect people of all races, ages and genders. Osteoarthritis (OA) refers to one of the most common forms of arthritis. This chronic condition affects the material (cartilage) that cushions the joints and breaks it down. The resultant impact is that it makes the bones to rub against each other, leading to pain, stiffness and loss of joint movement. The cause of Osteoarthritis is not fully understood. Rheumatoid arthritis refers to a process in which the body’s immune system triggers an inflammatory response even when there is no foreign substance to fight off. Typically, this condition makes the immune system to cause damage to its own tissues. To prevent further damage to the joints, early diagnosis and prompt treatment is the key. 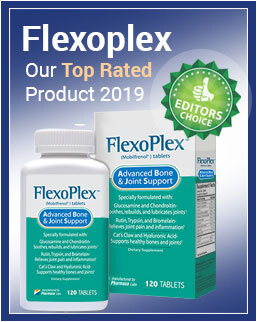 Which Joint Pain Supplements of 2019 Are Right For You? Gout refers to a form of inflammatory arthritis that leads to sudden, swelling, severe pain and tenderness in the affected joints (mostly in the large joint of the big toe). But, gout is not only limited to the big toe; it can also affect other joints in the body such as ankles, feet, hands, elbows etc. this condition normally affects only one joint at a time, though it can become chronic and ultimately affect several other joints over time. If left untreated, gout attack can last from a few days to two weeks. It’s estimated that about 6.1 million Americans have experienced gout attack at least one gout attack. Comparably, gout commonly affects men more than it does to women. Psoriatic arthritis (PsA) is a form of arthritis associated with the chronic skin condition known as psoriasis, and it’s believed to be an inherited condition. Psoriasis is estimated to affect about 2 % of Americans, and most often causes the skin to have patches of thick, reddened, silver-white patches and irritated skin. Typically, Psoriatic arthritis appears about 10 years after the onset of psoriasis. Also known as Lupus, Systemic lupus erythematosus (SLE) is an autoimmune disease caused by a person’s own immune system attacking various organs and cells of the body. The effect is damage and dysfunction of those cells and organs. Because it can affect many different tissues and organs, Lupus is called a multisystem disease. While some patients with lupus suffer from mild disease that can be treated with simple medications others can have serious and life-threatening complications. Juvenile arthritis (JA) stands for an umbrella term used to refer to the many inflammatory and autoimmune conditions that can develop in children aged 16 years and below. Though arthritis is known to affect only joints, JA can involve the skin, eyes and gastrointestinal tract. For proper diagnosis, a patient should be aged below 16 years and have initial swellings in one or more joints for a period not exceeding six weeks. Fibromyalgia is a form of arthritis characterized by long-lasting and widespread tenderness and pain at specific points on the body. “Fibromyalgia” means pain in the ligaments, muscles and tendons. Though not defining characteristics, fatigue and sleep disturbances are integral symptoms of fibromyalgia. Typically, this form of arthritis is referred to as a syndrome because it involves a set of symptoms and signs that occur together without a known cause. Although classified under arthritis, fibromyalgia is not truly a form of arthritis because of its lack of causing inflammation or damage to the affected joints, muscles or other tissues. Infectious arthritis refers to an infection in the tissues and synovial fluid of a joint. Though mostly caused by bacteria, infectious arthritis can also be caused by viruses or fungi. The Bacteria, fungi or viruses infection in the body all may spread from the nearby infected tissue through the bloodstream and infect a joint eventually. People susceptible to developing an infectious arthritis; are those suffering of a form of an infection in the bloodstream and later enters the joint causing arthritis. Spinal stenosis refers to condition where there is abnormal narrowing in the spinal canal. Due to this narrowing, amount of space available for the nerves and spinal cord is limited. Spinal stenosis can become more severe if there is squeezing of the spinal cord and its nerves. Though common in the cervical and lumbar spine, Spinal stenosis can occur anywhere in the spinal canal. Osteoporosis refers to a form of arthritis that causes your bones to become fragile. This fragile makeup makes bones to break more easily. Sjögren’s syndrome refers to a disorder affecting the moisture-producing glands (tear glands, salivary glands etc). This condition makes these glands to become infiltrated with white blood cells causing the glands to produce less moisture. This will result in dryness of the eyes and mouth. Other parts of the body can also be affected. It’s due to its ability to affect multiple parts of the body that multiple symptoms, including joint pain are felt. In polymyalgia rheumatic, the joints and the areas around them become stiff and at times ache. Typically, it happens in the hip, neck and shoulders. Avascular necrosis refers to a localized death of bone due to drug side effects, a local injury (trauma) or disease. This condition is serious because the dead areas of the bone do not function normally. This condition is characterized by a group of tenderness, symptoms including and swelling of an extremity accompanied by varying degrees of warmth, sweating and/or coolness, discoloration, flushing and shiny skin. The Dupuytren’s disease is a condition that causes the tissue beneath the hand to contract and thicken. Thickening of the palm is the first evidence of this condition. Also known as Behcet’s syndrome, Behcet’s disease refers to a rare condition that causes inflammation in blood vessels throughout the body. Spondylolisthesis refers to a where one bone in the back (vertebra) slides forward over the bone below it. It may result in your nerve roots or spinal cord being squeezed. Ankylosing spondylitis (AS) refers to a long-term disease that affects joints near the center of the body, mainly the sacroiliac joints and the spine. This is a rare type of arthritis featuring, a salmon-colored, a sore throat rash and a high fever once or twice a day. After these initial symptoms, Joint pain tends to develop a few weeks later. This is infectious disease that has arthritis as one of its symptoms. The spirochete bacterium Borrelia burgdorferi bacterium is the causative agent. A carpal tunnel syndrome refers to a condition of the hand and arms that causes tingling, numbness and other symptoms. This condition is thought to be caused by a pinched nerve in the wrist. Raynaud’s phenomenon is a condition when the blood vessels feeding your fingers and toes constrict due to cold or emotional stress. The body reduces blood flow to the toes and fingers under relatively minor cold stress. Infectious arthritis refers to an infection in the joint due to invasion of a bacterial, virus or fungi. 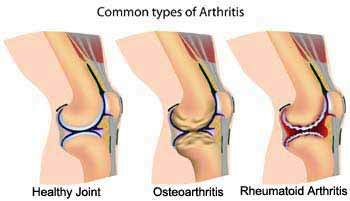 Pain in the joint, joint redness and swelling are some of the common symptoms of this form of arthritis. Reiter syndrome is a type of arthritis, coming as a result of a reaction to a bacterial infection in the body. Reiter syndrome includes joint pain, joint swelling in knees, feet and ankles as well as inflammation of the eyes and urinary tract. Hemorrhagic arthritis is a form of arthritis in which material that cushions the joints (cartilage) breaks down. This makes the bones to rub against each other, causing a lot of swelling, inflammation and stiffness in the joints. This is a condition that makes the side of your wrist and the bottom of your thumb hurt. De’s makes the ropey fiber (tendon) that moves your thumb away from your fingers become swollen. Joint hypermobility is an increased mobility to the small and large joints, going beyond the limits of their physiological movement. This condition is characterized by weakness to the connective tissues of the body. Arthritis of the metacarpophalangeal joints can lead to considerable disability and pain. Common etiologies of this disease include Inflammation, posttraumatic, crystalline, and osteoarthritis. Childhood arthritis is a form of arthritis affecting individuals under the age of 16. Childhood arthritis is understood to be one of the most common conditions affecting children in the U.S.
Traumatic arthritis refers a form of arthritis following an injury, excessive movement or physical trauma. Sports injuries are a common cause of traumatic arthritis. General arthritis refers to a condition causing inflammation, pain and swelling to the body joints. Arthritis applies to over 100 diseases that have been identified to date. Contact your closest medical facility for a proper diagnosis to determine the specific form of arthritis you’re suffering from. This will aid effective treatment of your condition.